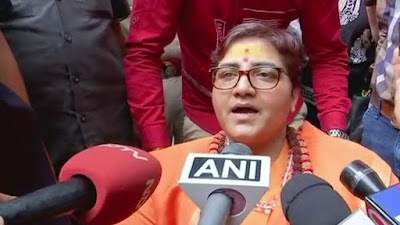 Bhopal, 17-April-2019: Sadhvi Pragya Singh Thakur today arrived at the BJP office in Bhopal and is currently meeting senior BJP leaders Shivraj Singh Chouhan, Ramlal, and Prabhat Jha. While talking to the media. The Bharatiya Janata Party (BJP) may field Sadhvi Pragya Singh Thakur against senior Congress leader Digvijaya Singh from Bhopal Lok Sabha constituency in Madhya Pradesh. 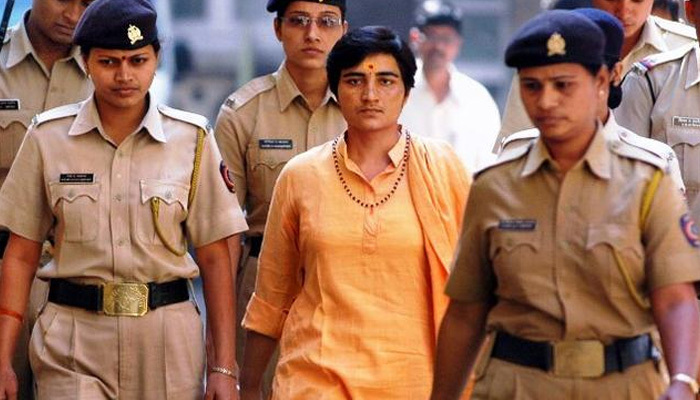 We had seen some congress members on debate defending terrorism by saying terrorism has no religion but they completely deny to comment when this new word “Hindu Terrorism” was coined. They made Terrorism a fancy word and used it for their political gain. While criticizing RSS, VHP and other Hindu Right wings they crossed all lines and called Hindu Terrorism. It was allegedly its ploy to continue to divide and rule. The latter deriving from modernist ideologies such as Marxism and certain forms of “hard” secularism. In such a way, Congress wanted to entangle Hindu Nationalism with Jihadi Terrorism in a process to appease the Muslim vote Bank in India. If Hindus could have become terrorists in the name of their religion and civilization, they would have done so after the Kolkata killings of 1946. Or the Mirpur massacre of 1947. Or when Kashmiri Pandits genocide were driven out of Srinagar and the Kashmir Valley. While all religions, in their ideal state, are valid ways of reaching the absolute, in their actual, practical manifestation, they are not equally peaceful or plural. Certain religious traditions have been much more susceptible to extremist indoctrination and violence. True secularism will neither favor minorities nor distort the traditions of the majority to demonize the latter. Congress will continue to pay heavily for this dirty ploy. Kolkata court summons Shashi Tharoor over ‘Hindu-Pakistan’ remarks. The Congress party and its leader, Shashi Tharoor, Digvijaya Singh and more Congy Leaders seem to never leave their ambitions to defile Hinduism. In the past 6 months, I have heard Shashi Tharoor call India a “Hindu Pakistan” and he says that “No Good Hindu would want a Ram Mandir in Ayodhya”. Many leaders from the Congress party seem to have forgotten what they preach- When a terrorist, Yakub Memon was hung in 2016, these same leaders were screaming at the top of their lungs that “democracy is in danger”, but somehow, Tharoor insulting the incumbent Prime Minister of India is not a sign of “democracy being in danger”. 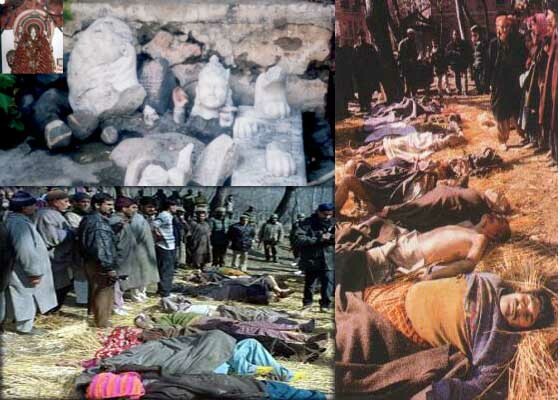 ‘Hindu Terrorism” is a farce, it was never present and never will be. In Hinduism, there is no such space for violence and conversions. No religious books in Hinduism ask you to convert people at the tip of the sword, nor does it ask you to fight against people from other faiths. Throughout History, many different faiths have settled down and mixed in the country, if Hinduism was ever to be violent, it would have been then, not 900 years later when we have already taken them in our culture. What I find intriguing, is that only for Hinduism people scream “terrorism”, however when it comes to Islam and Christianity at no point of time can you say “Islamic” or “Christian” terrorism, or you would be deemed communal. An interesting fact about the Congress is that they only scream “terrorism” when something very important to the core of Hinduism is awakened, however, I never see the Congress screaming “terrorism" when Akbaruddin Owaisi threatened to kill all Hindus in 15 minutes. The Gandhy Family for making up something which does not exist. Nehru for seeding this idea of not letting Hindus and Muslims come on mutual terms and make a more harmonious society. Kept using Muslims as a vote bank & the only way he could have used Muslims was by giving them subsidies, making them feel that they need support, needs protection. We don’t have unity and that is also a plus point as well as a minus point. Hindus always follow certain rules in War. Like….. war is between warriors not with women, child, and the general public. And Hindus always forgive the opponent after their surrender. For Dividing Hindus as much as possible. 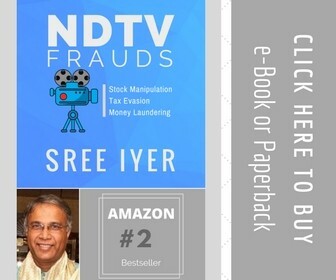 For Corruption which caused the exchequer loose lakhs of Crores. For cheating Hindus in the name of Secularism for all these years. For insulting great people like Sardar Patel, Lal Bahadur Shastri, Ambedkar, PV Narasimha Rao. For making India a Socialist Hell. For giving us fake & fabricated Red-Colored History where Indian culture Hindu culture, Hindu Rulers are defamed or hidden. A failed education system where everybody wants only a govt job. No Moral value. And students are brainwashed to think bad about Hinduism. For supporting Arabs and not recognizing our true friend Israel for a long time. We Should believe in Karma. And Karma has no menu you get served what you deserved.